Please accept this post as application to the current position you have available in your practice. I offer 13 plus years experience in a medical office and have a great perspective of both front and back office procedures which serve me well as a coder. I recently brushed up on my medical billing and coding skills at Gwinnett Tech and have gone on to become a Certified Professional Coder. I am a dedicated employee with a high work ethic and am a great team player. Reviewed and revised office billing and collection policies. Updated computer codes to better identify insurance payment and adjustments. Implemented a regular aged collection letter system for past due accounts. Brought insurance and patient past due accounts up to date. Posted insurance payments and adjustments in computer and ran daily reports. Worked closely with and advised insurance coder. Revised and implemented office super-bill with CPT and ICD-9 Codes. Understand and work every position in office including office manager. Focus was mainly on billing and collections. Insurance â€“ coding, filing, status of claims, denials, appeals, verification and certification for surgery. Billing â€“ insurance paid and monthly statements. Posting â€“ office charges, patient and insurance payments and adjustments. Collection â€“ fully worked accounts with collection letters and phone calls. Computer â€“ responsible for all aspects of computer including new codes, office liaison with software company, daily and monthly back up. Assisted Dr. Hallum with renewing his credentials with the American College of Obstetrics and Gynecology. 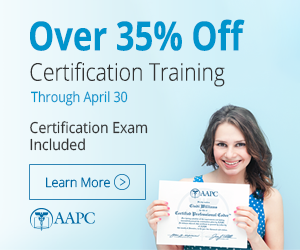 Obtain detailed history, vital signs, urinalysis, hemoglobin, phlebotomy and injections. Assist in examination and minor surgical procedures. Responsible for scheduling surgery, stocking exam rooms, sterilization of instruments and order patient reading materials. Front Office duties included scheduling of appointments and telephone nurse which included advice, screening patient calls and phoning in prescriptions.